Chapters 6-11 are a Christian addition to the Martyrdom of Isaiah, usually called the “Visions of Isaiah.” Isaiah has a vision when he was in Jerusalem to see King Hezekiah. While he is surrounded by forty prophets (including Joel and Micah), he slips into some sort of trance. Some thought he was about to ascend, others that he was dead. He recovers and relates his vision to Hezekiah. In his vision, Isaiah was taken by the hand and escorted up into heaven by an angel. He passes through the firmament and then through the seven heavens. In chapter 9 Isaiah enters the seventh heaven where he sees a wonderful light and innumerable angels. Isaiah sees Abel and Enoch, which is not unexpected since this whole heavenly journey is remarkably similar to 1 Enoch. The saints are not wearing crowns nor are they seated on thrones. They will not receive these things until after Christ descends in human form and is crucified. The resurrection is described as “plundering the angel (or prince) of death.” After the Lord ascends to heaven the Old Testament saints will receive their crowns and thrones. The balance of the chapter is a series of worship scenes: the Lord (vss.27-32); the “angel of the Holy Spirit” (vss. 33-36) of God (vss 37-42). The lower heavens join in this worship (verses 1-6) and then Lord Christ (who is called Jesus) is called upon by the father to descend to Sheol (but not Perdition) and be made into the likeness of those in the lower heavens. This he does, becoming “incarnate” for each of the five levels of heaven he enters. The final chapter of the Christian Visions section recounts the virgin birth (11:1-16) and the infancy of the Lord (verses 17-18). The virgin birth is without pain (Mary does not cry out) and occurred after only two months of pregnancy. 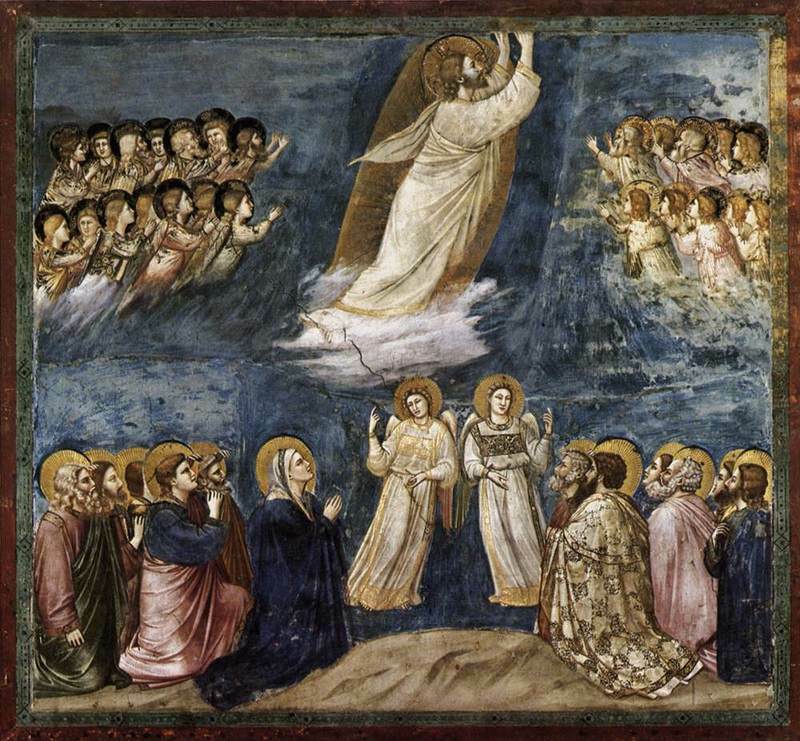 After the resurrection Jesus ascends back to the seventh heaven where he sits at the right hand of the Father and receives glory, with the angel of the Holy Spirit on the left hand. The book concludes with the angel returning Isaiah in the vision and his report to Hezekiah. The words of the vision were recorded and Hezekiah is sworn to secrecy.